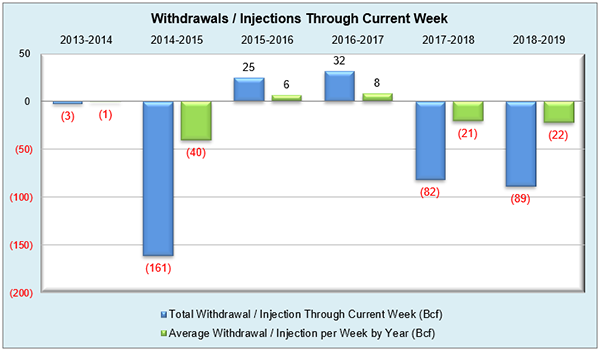 After last week’s triple digit withdrawal, the market saw a bit of relief on the current report with a bearish 59 Bcf draw. 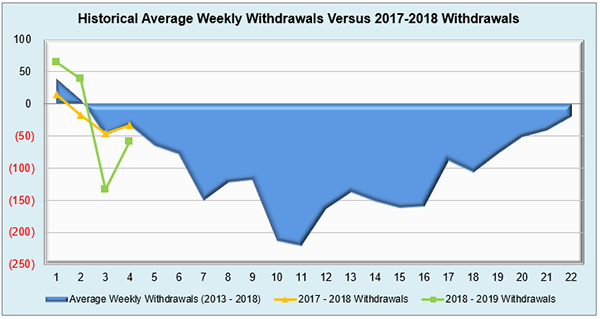 Market expectations ranged from 67-77 Bcf, and this week’s pull surpassed last year’s 33 Bcf withdrawal while falling exactly in line with the five-year average at 59 Bcf. 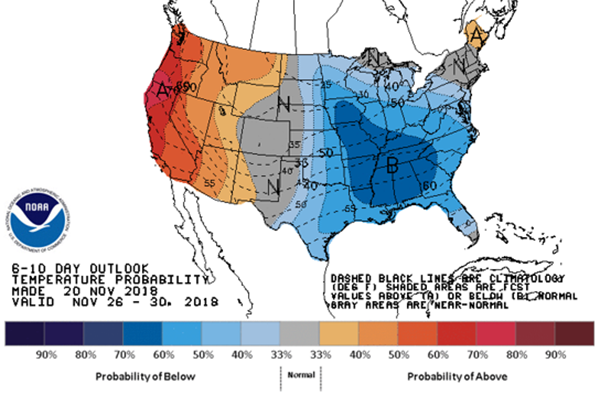 The Thanksgiving holiday made for a challenging storage picture, but many of the gains seen over the past several weeks in the NYMEX winter month could certainly see a downward trend as milder weather patterns over the first few days of December are expected. 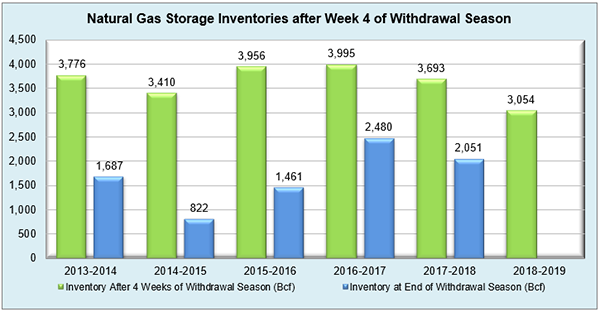 That break may be short-lived however, as colder patterns are already expected to return in key storage regions such as the Midwest and East, which both have contributed to the lion’s share of this week’s withdrawal. With storage levels still below normal, volatile swings of potentially 20-30 cents on the front month contracts aren’t out of the question. 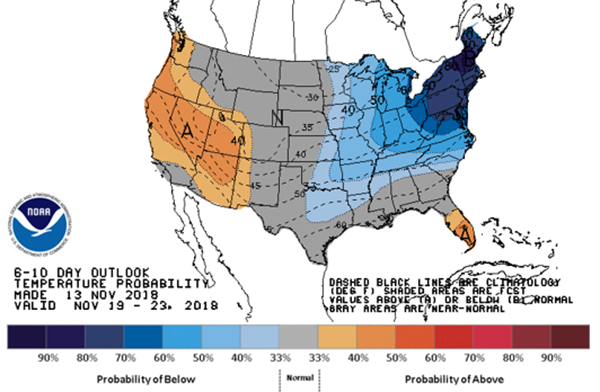 The only real question is which way they will go, and fundamental factors like weather are driving these swings more than ever for winter prices. 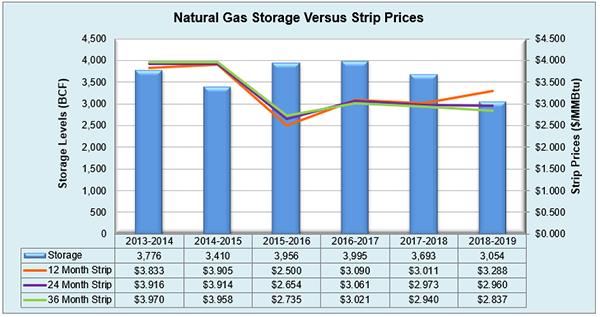 Working natural gas in storage currently stands at 3,054 Bcf, which is 644 Bcf (17.4%) lower than this time last year and 720 Bcf (19.1%) lower than the five-year average. The January 2019 NYMEX Futures price began the day around $4.54/MMBtu prior to the report’s release, but has since dropped to $4.52/MMBtu after the report was posted.